Map of 'The City' + general briefing for STC 4. Attitudes to police:- non-cooperation, ideas for actions, clogging up the court process, related protests. Account of STC 2 (and covering STC 1) + analysis and quotes. 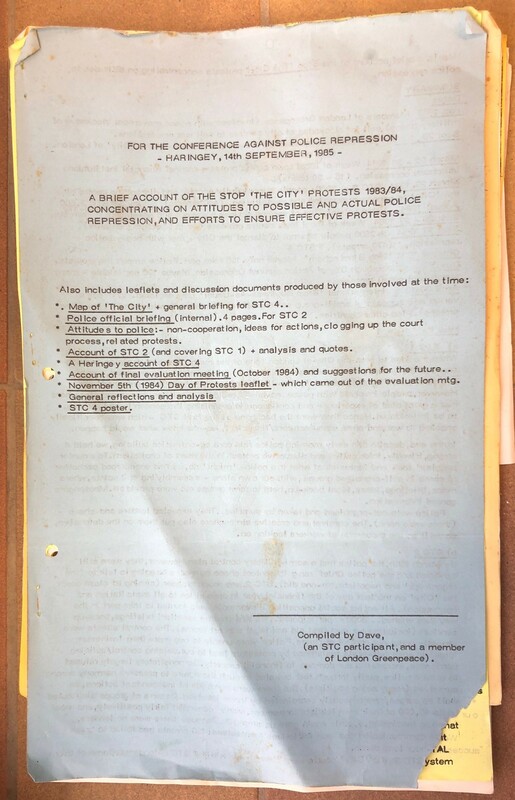 November 5th (1984) Day of Protests leaflet - which came out of the evaluation mtg. Compiled by Dave, (an STC participant, and a member of London Greenpeace).